The Church can only become a true community if its members are willing to get their hands dirty and include the excluded. That was Pope Francis’ message during his homily at the Santa Marta Mass on Friday morning, as he reflected on the Gospel passage about Jesus healing the man with leprosy. Pope Francis noted that the miracle, in St Matthew’s Gospel, of Jesus touching and healing the leper takes place in front of the doctors of the law who considered the man to be ‘unclean’. Leprosy, the Pope said, was like a life sentence, since curing a leper was thought to be as hard as raising someone from the dead. Lepers were excluded from society, yet Jesus stretches out his hand and shows us what it means to be close to such people. We can’t be a community, we can’t make peace, and we can’t do good without being close to people, the Pope stressed. Jesus could have just said to the leper, ‘You are healed’, but instead he reaches out his hand and touches him, becoming ‘unclean’ himself. This is the mystery of Jesus, the Pope continued, that he takes upon himself our uncleanliness, our sin, our exclusion to become close to us. The Gospel passage also notes that Jesus asks the cured man not to tell anyone, but to show himself to the priest and ‘offer the gift that Moses prescribed’ in the law as proof for them. Pope Francis explained that Jesus not only gets his hands dirty but he also instructs the man to go to the priest so that he could be included in the Church and in society again. Jesus never excludes anyone, the Pope said, but rather he excludes himself in order to include us sinners. Finally Pope Francis noted the reactions of the people around Jesus, many of whom are amazed at his words and follow him. Others, he said, watch from a distance with hardened hearts to criticize and condemn him, while others would like to draw close to Jesus but lack the courage to do so. To these people, Jesus holds out his hand, as he holds it out to all of us, taking on our sins to become one of us. Do we know how to draw near to people, the Pope asked? Do we have the strength and courage to reach out and touch those who are excluded? This is the meaning of a Christian community and this is the question each one of us – priests, bishops, religious, all of us - must ask ourselves. and for the opportunity to be outside and enjoy Your creation. no matter where I am or what I am doing. and light my path with Your Word and Counsel. and a hunger and a thirst for You. a simple, "How can this be?" 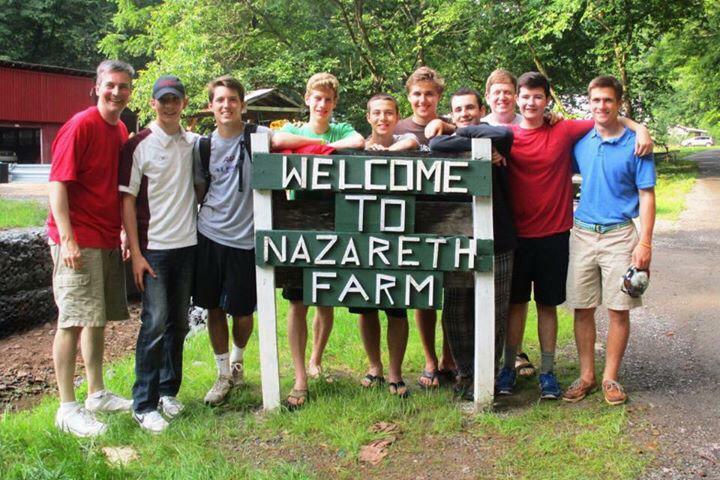 Pictured above is this year's Nazareth Farm participants. Marianist Brothers Peter and Patrick yearly take this service trip with students from Chaminade High School. Nazareth Farm is truly a unique place because you can see God everywhere you go, and in everyone you meet. The week I spent at the Farm helped me to strengthen my faith, and I was influenced by every volunteer, and community member I met during the trip. I saw God in every volunteer that we worked with throughout the course of the week, because they had a strong passion for helping those in need, and they were some of the kindest people I have ever met. Throughout the week, we traveled to various homes in the community where work needed to be done on the houses. During this time, we had a great opportunity to meet and talk to many members of the community. The community of West Virginia is very special, and I mainly saw God through them in my week at Nazareth Farm. Similar to the Bible passage where a poor old woman gives away her last two coins to help others, the people who live in the area of Nazareth Farm don’t have much to give, yet they give anyway. This attitude of giving was personified by one of the community members named Ronny, who did everything he could to help the volunteers at the Farm. Ronny did everything from fixing low hanging electrical wires near the work site, to feeding us lunch, and he did all of this without being asked. My faith was strengthened by the community because we saw how little these people had, yet they were some of the most faithful people I have ever met. Every single community member we met strongly believed in the presence of God in everything they did. That is what I took away from the trip most, even though the people of West Virginia weren’t the most privileged, they were truly thankful for everything they had, and now so am I. 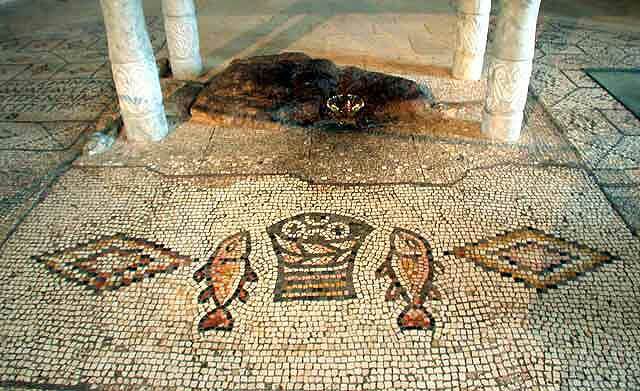 Today's Gospel keys us into the first century, where John’s account of the feeding of the 5,000 takes place. Messianic expectation was running high as the people looked for a hero to unite them and throw off the yoke of Roman oppression. Into this climate of chaos and hope comes Jesus, who does and says things that lead the people to believe that he is the one who will come riding to their rescue. There were lots of pretenders to the throne running around first-century Israel, gathering people in the desert in the manner of Moses, promising liberation from the Roman slave-masters. The people tended to move from one to the other, until their promises dried up like so much desert sand. Jesus seemed spot on, to be the real deal — one who would fill their bellies as well as their national dreams. John tells us that the people’s response to this massive feeding was to try and make him king “by force.” But Jesus refuses the crown and slips off by himself into the wilderness. If anyone deserved it and could deliver the goods it was he. But while heroic warrior-kings make for good stories and blockbuster movies, the kind of kingdom Jesus was bringing in would redefine once and for all what true royal power was about. Bottom line: Jesus believed that power was only truly useful if it was given away. Saint James, Saint John, and their mother, from what we heard in today’s Gospel, approached Jesus with a terribly selfish request. They wanted positions of power and prestige in his kingdom- something that would place them head and shoulders over their friends and fellow Apostles. It’s easy for us to cast stones at James and John. At the same time, however, most of us are probably guilty of having made selfish requests of God ourselves. In a sense, then, it’s kind of nice to know that people who eventually became saints did exactly the same thing. It’s even nicer to know, however, they with God’s grace they were able to move beyond their selfishness. The lives of James and John show us that as our relationship with God matures, selfishness is replaced by service - a desire to serve Jesus, who himself came not to be served, but to serve, and give his life as a ransom for many. For his part, St. James - whose feast we celebrate today - did indeed achieve that greatness he desired. But he did so only through service - by drinking the chalice of Jesus, and giving his life for him. Today is an opportunity for us to assess the state of our relationship with the Lord. Are we selfish, or servants? If all we’re asking for is "What can I get?" perhaps we should ask for one more thing: A servant’s heart. Get close to marginalized people, close the distance until touching them without being afraid to get dirty. This is the “Christian closeness” that Jesus showed us concretely when he freed the leper from the impurity of the disease and also from social exclusion. During Mass at Santa Marta on Friday, 26 June, the Pope asked every Christian and the Church as a whole to have this attitude of “closeness”. The Pope’s next Mass at Santa Marta is scheduled for Tuesday, 1 September. “When Jesus came down from the mountain, a great crowd followed him”. Francis thus began his homily, repeating the first words from the day’s Reading from the Gospel according to Matthew (8:1-4). All of those people, the Pope explained, “heard his catechesis: they were astonished because he spoke to them ‘with authority’, not like the doctors of the law” whom they were used to hearing. The Gospel specifies that “they were astonished”. Thus, these people begin to follow Jesus, without getting tired of listening to him. The Pope recalled that those people “stayed all day and, in the end, the Apostles” realized that they had to be hungry. But “hearing Jesus was a joy for them”. And thus, “when Jesus finished speaking, he came down from the mountain and the people followed him” and gathered round him. These people, the Holy Father recalled, “went on the roads, on the paths, with Jesus”. However, “there were other people who didn’t follow him: they watched him from afar, with curiosity”, wondering, “Who is this man?”. After all, Francis explained, never “had they heard such astonishing catecheses”. And thus there were “people who were watching from the sidewalk” and “there were other people who couldn’t approach: la law forbade it for they were ‘unclean’”. The leper spoken about in Matthew’s Gospel was from this group. “This leper felt in his heart a longing to draw close to Jesus”, the Pope noted. “He took courage and approached”. But “he was a marginalized person”, and thus, “couldn’t do so”. However, “he had faith in that man, took courage and drew near”, turning “simply to his prayer: ‘Lord, if you will, you can make me clean’”. He said this “because he was unclean”. Indeed, “leprosy was a life sentence”. And “healing a leper was as difficult as bringing a dead man back to life: this is why they were marginalized. All of them there were so. They could not mix with the people”. There were, however, “also the self-marginalized”, Francis continued. “The doctors of the law who were always watching with that longing to put Jesus to the test, to make him slip up, and then condemn him”. The leper, however, knew he was “unclean, sick, and he approached”. So, the Pope asked, “what did Jesus do?”. He didn’t stand still, without touching him, but instead drew even closer, stretched out his hand and healed him. “Closeness”, the Pontiff explained, is “such an important word: you can’t build a community without closeness; you can’t make peace without closeness; you can’t do good without drawing near”. Jesus could have said to him: “Be healed!”. But instead He drew close and touched him. “What’s more: at the moment that Jesus touched the unclean man, He became unclean”. And “this is the mystery of Jesus: He takes upon himself our uncleanliness, our impurities”. It is a reality, the Pope continued, which St Paul describes well when he writes that Jesus, “though he was in the form of God, did not count equality with God a thing to be grasped, but emptied himself”. Paul goes even further, confirming that “Jesus became sin”: Jesus became sin, Jesus became excluded, took impurity upon himself to draw close to man. Thus “he did not count equality with God a thing to be grasped,” but instead “emptied himself, drew near, became sin, became unclean”. “So often, I think that it may be, I wouldn’t say impossible, but very difficult to do good without getting our hands dirty”. And “Jesus got dirty” with his “closeness”. But then, Matthew recounts, he went even further, saying to the man who was freed from his illness: “Go to the priests, and do what must be done when a leper is healed”. Essentially, “that man who is excluded from social life, Jesus includes: includes in the Church, includes in society”. He advises: “Go, so that all things shall be as they must be”. Thus, “Jesus never marginalizes anyone, ever!”. Moreover, Jesus “marginalizes himself in order to include the marginalized, to include us, sinners, marginalized people, by his life!”. And “this is beautiful”, the Pontiff noted. How many people followed Jesus in that time and have followed Jesus in history because they are astonished of how he speaks”, Francis explained. And “how many people are watching from afar and do not understand, are not interested; how many people watch from afar but with a wicked heart, to put Jesus to the test, to criticize him, to condemn him”. And yet, “how many people watch from afar because they don’t have the courage” of that leper, “but have such longing to draw near”. And “in that case, Jesus stretched out his hand, first; not as in this case, but in his being he reached out his hand to everyone, becoming one of us, like us: sinners like us but without sin; but a sinner, soiled by our sins”. And “this is Christian closeness”. “Closeness” is a “beautiful word, for each of us”, the Pope continued. We should ask ourselves: “Do I know how to draw near? Do I have the strength, do I have the courage to touch those who are marginalized?”. And “the Church, parishes, communities, consecrated men and women, bishops, priests, everyone” should also answer this question: “Do I have the courage to draw near or do I always keep my distance? Do I have the courage to close the distance, as Jesus did?”. Pope Francis then emphasized that “now on the altar”, Jesus “will draw near to us: he will close the distance”. Therefore, “let us ask him for this grace: Lord, may I not be afraid to draw close to the needy, to the needy who are visible or to those who have hidden wounds”. This, this Pope concluded, is “the grace of drawing near”. Then why am I so often busy, too busy, to spend some time with you? One of my summer reads is a great book by Edward Sri. Mary’s Fiat did not lift her out of the necessary puzzlement, anxiety and pain which often arises [sic] from the radical nature of the Christian vocation. Despite her remarkable initiation into the Christian mystery, she still had to proceed through the rest of her life, “treasuring in her heart” the mysteries revealed to her, never fully understanding, but patiently waiting for God’s time and God’s ultimate answer. Years ago a group of Marianists and high school students attended a concert by the Christian group GLAD. People of a certain age will remember GLAD. They began in the 1970's as a progressive Christian rock band based in the Philadelphia area and sometime during the late 1980's reinvented themselves as an acappella group. The members of the band are getting older, but they can still harmonize with the best of them. Listen to the end and pray along. Enjoy! in order to fulfill the Father's saving will. cooperated in the mystery of salvation. like that of Jesus and Mary. and to participate in his redemptive sacrifice. and bear witness to our hope. Jesus, the Good Shepherd, was always in the midst of messy situations. He started his life out that way, arriving in a stable filled with the smells and sounds of sheep and cows and goats. Jesus had no illusions about what being a shepherd to a flock of headstrong, obstinate sheep meant. Getting down and dirty is the name of the game. Jesus was always "stepping in it" - riling up the religious authorities, the disciples and all his listeners, by prodding and poking them forwards, driving them to conclusions that they didn't want to consider, keeping them on the right track. 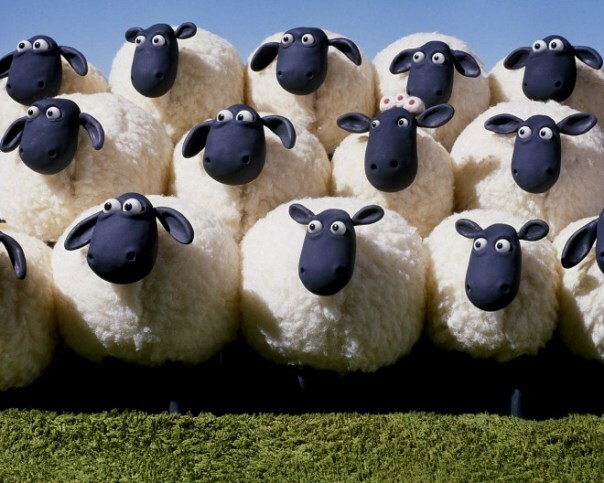 The sheep are looking right at us to see if we're taking time to look over the Scriptures for this coming weekend, the 16th Sunday in Ordinary Time. This Sunday's first Scripture, from the prophet Jeremiah, is a condemnation of unfaithful shepherds and the Lord's pledge to replace them with more faithful shepherds. 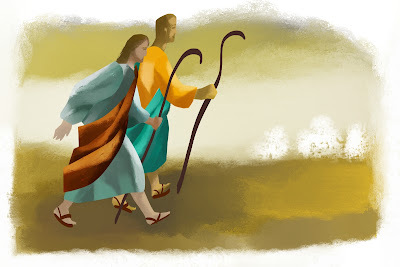 Jesus would later adopt this shepherd imagery to describe and define his own mission as the Messiah, seeking the lost sheep and calling himself the “good shepherd.” Jesus’ disciples would use the same terms to describe their leadership in the Christian movement after Jesus’ ascension. Jesus was still the “chief shepherd” but his representatives were also known as “pastors” or “shepherds. " Unlike the kings of old, however, the shepherds of the newborn church were not defined by their power, genealogy or the public symbols of office. Look closely at the list of qualifications for spiritual leaders that Paul presents in 1 Timothy and Titus and it becomes clear that the qualifications for a “pastor” or “guardian” were much more about character and conduct than charm and charisma. Beyond that, the good shepherd will also represent Christ. Ultimately, Jesus provides us with the best model for the authenticity of a shepherd. A true shepherd takes care of the sheep. Our second reading is Saint Paul's letter, which is written to Ephesian Christians living among the rich and proud residents of a major capital city. The people of this city have money and power and influence, like many of the people throughout our cities. But Paul reminds the Christians, often poor and beleaguered, that worldly success leaves one feeling empty, without a sense of inner peace. Sure, they have the Temple of Artemis, one of the Seven Wonders of the Ancient World. But what has the goddess Artemis done for them lately? And the Roman emperor himself is considered a god, but he's better at demanding taxes than giving assistance. Some of the Ephesians have heard of a powerful God worshiped by the Jews, but they know that Jews practice circumcision -- at the very least, this is a painful deterrent to conversion. Paul knows this about the Ephesians, so he writes to the Christians living there. 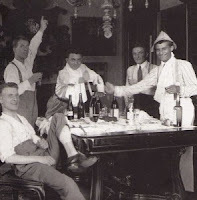 As cosmopolitan people, the Ephesians are comfortable in international gatherings. But even though they have money and power and influence, they feel cut off from a relationship with God. Paul reminds his readers that at one time they were without Christ, aliens and strangers to the covenants of promise, without hope and without God in the world. Think about it: If you are without hope and without God, not even an Olympic gold medal is going to make you feel any better. Well, okay, maybe it would make you feel better. But not if you know that without God you're without hope. Nothing of a material nature can bring lasting peace and joy to the soul -- it doesn't work that way. You need, we need, Jesus the Christ. This is the solution Paul offers the Ephesians: "But now in Christ Jesus you who once were far off have been brought near by the blood of Christ," he writes. "For he is our peace; in his flesh he has made both groups into one and has broken down the dividing wall, that is, the hostility between us." Real peace requires Jesus, according to Paul. In his flesh he makes different groups into one, and breaks down the dividing wall, that is, the hostility between them. Gaining the peace of Christ is not a human achievement. It is Christ's accomplishment, not ours. Our challenge is not to earn him or deserve him, like a cherished medal. Instead, it is to accept him as a gift of God. This is hard for us because we're an achievement-oriented nation. We honor our World Cup soccer athletes because they work so incredibly hard, training and competing and perfecting their skills for years and years. But the prize of peace with God is based on Christ's achievement, not ours. When we put our faith in him, we are invited to join him on the medal platform. Today's Gospel extends the "great invitation" urging "weary" and "burdened" believers to "rest" with Jesus. This undoubtedly foreshadows Matthew's upcoming texts on Sabbath activities. Essential to understanding Jesus' invitation here is clarifying Jesus' attitude toward the Sabbath in particular, the Torah in general. Obviously, Jesus did not intend to abolish all Sabbath observations -- but he did intend to reinterpret the Law by finding new ways to fulfill it. Jesus sought to teach a radical understanding of the depth of the Law's spirit. The "rest" Jesus offered was not just a break from practicing every jot and tittle of Torah mandates. 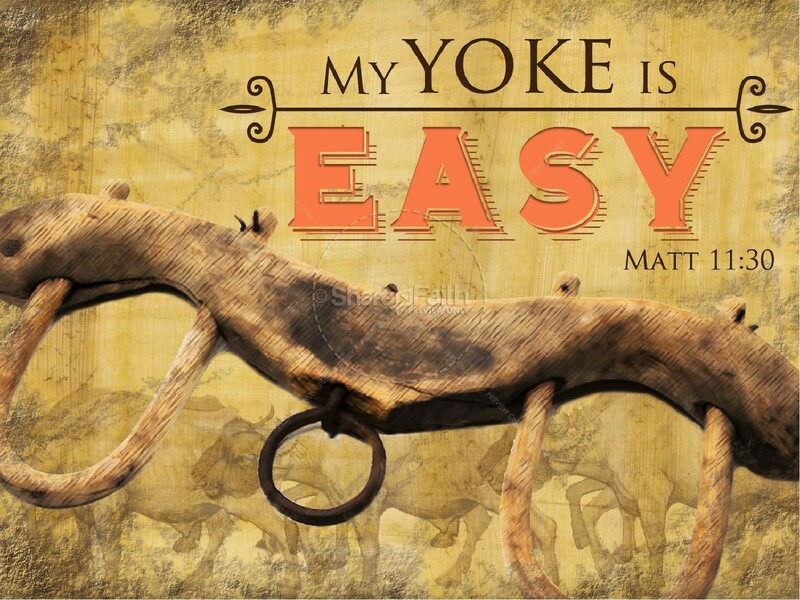 Jesus says that his yoke is "easy" and his burden is "light," not because God's Law is abolished, but because Jesus shares his own unique knowledge with the new believer. This yoke is "his" because Jesus also wears it. Believers are called to join him and walk with him, not just to be loaded down with a new law while He watches. Jesus offers every generation new ways to understand, to think, and to act -- as believers who share the yoke with him. Jesus had a reason for the items he banned: They could undermine the mission on which He was sending his disciples. They were to depend on God to provide for them through the hospitality of strangers. How they traveled and were welcomed was to be itself a demonstration of God's care. So, think about it, Jesus said that they were not to check any bags, and could only take one small carry-on. What a group they must have been! Peter's garments may have been too big for John. Phillip's clothes no doubt smelled differently than Andrew's. 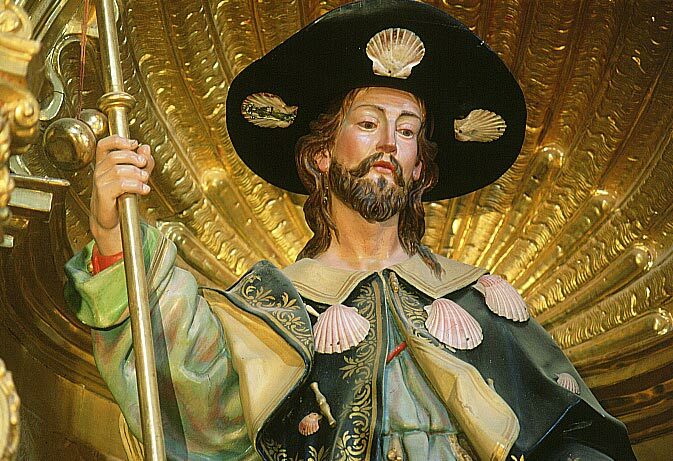 The attire of Matthew, the former tax collector, may have been more costly than James', the fisherman. Bartholomew's tunic may have had a rip that made it identifiable as his own. And maybe Thomas' wife was such a good seamstress that the clothing she made for him was easily distinguishable from what the other 11 disciples wore. But what does this teach us? When Jesus sends us out to be his people in the world, and tells us to rely on him and thus take nothing with us, we can't help but take along who we actually are, including the "baggage" we normally carry. And by baggage, we mean something other than suitcases or parcels. That word is shorthand for burdensome personal history we drag with us that interferes with our living fully in the present. When Jesus tells us to take nothing for the journey, He means it. It's an opportunity to leave our baggage behind. This Sunday's gospel for the 15th Sunday in Ordinary Time tells us of Jesus sending out the apostles to preach and his "marching orders" to them - including some details about uniforms! The first reading gives us Amos, a simple man the Lord had called to be a prophet, who does such a good job that he's banished from the place where he prophesied! The second reading, from Ephesians, includes a great description of how blessed we are to be the people of God. This morning as I was walking and praying the rosary, I had a few thoughts about how much we continue to need Mary. 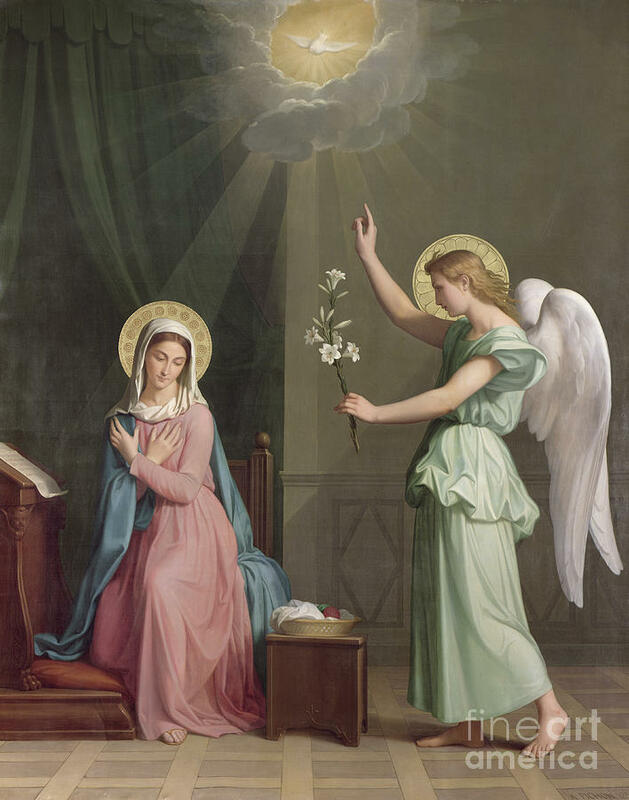 In the first Joyful Mystery, the Annunciation, we see how God longs to be in communication with humanity. He chose Mary as a woman of faith, “full of grace”. Through her, in the person of Jesus, our God took on human flesh and a human face, to communicate with us in a human fashion. No doubt, it was because of Mary’s immaculate and pure heart that she was capable of such an intimate union with God, to become the Mother of God. What does this teach us today other than the importance of remaining pure of heart? Blessed are the pure of heart, for they shall see God. Perhaps this theology is the reason for the phrase in the Morning Offering: O Jesus, through the Immaculate Heart of Mary, I offer you… Even Blessed Mother Theresa of Calcutta was fond of saying: Be only and all for Jesus, through Mary. Indeed, our every grace and blessing resides in the person of Jesus, and it was God’s will to give us His Son through Mary. No doubt, she continues to play a vital role in our life of grace and holiness today. Mary, in her purity of heart and fullness of grace also teaches us the lesson of selfless charity. In her visitation to Elizabeth, we see how Mary immediately begins to share this gift of Christ in loving service to others. Mary teaches us the importance of living for others; in communion with others. We cannot live life only for self. We cannot live a full life in isolation from others. The fullness of life is found in giving of oneself in love and service to others. So, may we grow in our love and devotion for Mary. May more of God’s people discover Mary, and the role she plays in obtaining the grace we need to grow in holiness, for such growth is the work of God. Yes, it requires our attention and cooperation, but it will always be God’s work within us. Through Mary’s intercession, may more and more people desire such holiness. Through the intercession of the Immaculate Heart, may we indeed become holy, in and with and through Jesus Christ! We have chosen Mary, as we well know, and we certainly had in our hearts the intent to choose her for our Mother. But, are we equally assured that, for her part, the divine Mother has made a choice of us, to have us in her special family? That is no less certain. We would not have chosen Mary, if she had not chosen us first. It is not of ourselves that we have reached this point. It is through a hidden guidance of Providence which directed our steps; which inspired in us this confidence to take for our Mother the Queen of all the world. We cannot have any doubt; it is the grace of God, and this grace, like all others, comes to us through Mary. It is through her love for us that have come the graces which have attracted us into her Society. It is, therefore, she who has chosen us; it is MARY WHO CALLED US. The French School of Spirituality of which Blessed Chaminade was so much an integral part realized that the Incarnation of Christ had for its end the Redemption, our supernatural birth. Christ's Incarnation has a direct correlation in Mary. Hence, the Incarnation leads to the Redemption; the Divine Maternity, to the Spiritual Maternity. The intimate ties relating these two functions of Mary are clear if considered in the light of our incorporation with Christ. We form with Christ but one body, the Mystical Body of Christ. He is Head: we are members. The . . . concurrence of Mary in the mystery of the Incarnation is the ever compelling motive of our recourse to Mary for all kinds of graces. Through her charity, voluntary and direct consent of her fiat, Mary cooperated in giving the world a Liberator. This is the underlying principle. The consequence is that God having once determined to give us Jesus Christ by the Blessed Virgin, made an unalterable decree , for ''the gifts of God are without repentance" (Rom 11:29). Her charity having so largely contributed to our salvation in the mystery of the Incarnation, the sole principle of grace, she will eternally contribute in all its operations which are merely consequences of the mystery. So the holiday weekend has reached its peak. Our neighbors at Eisenhower Park produced fireworks that were more than expected. And the local entertainment is still happening. A peaceful, relaxing, sweet and Happy 4th to one and all, and safe travels to those checking in from the road. We pray for his[/her] excellency, the governor of this state , for the members of the assembly, for all judges, magistrates, and other officers who are appointed to guard our political welfare, that they may be enabled, by Thy powerful protection, to discharge the duties of their respective stations with honesty and ability. To these, O Lord, and to all that rest in Christ, grant, we beseech Thee, a place of refreshmment, light, and everlasting peace, through the same Jesus Christ, Our Lord and Savior. Amen. 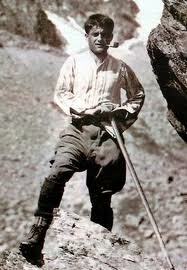 This week we celebrate the feast day of Blessed Pier Giorgio Frassati on July 4th. He was born in Turin in 1901 and died from polio in 1925. He was a young man of deep faith who at university gathered round him a group of friends who shared the same Catholic convictions. He was an enthusiastic member of the St Vincent de Paul Society and became a Lay Dominican in 1922. He combined a devout spiritual life with energetic involvement in Catholic Action. He worked in a club for young mountaineers and 'preached' not by talking about his faith but simply by the way he responded to what life brought his way. He wrote that charity alone was not enough, social action also was needed if the poor were to be properly cared for. Pier Giorgio's plans were to work as a lay missionary once he was a qualified engineer and then to get married. It was not God's will for him, however, as he fell gravely ill with polio and died. His family were astonished at the thousands of people who lined the streets for his funeral, not realising how many people in the city had experienced his kindness. Devotion to him continued to grow as his friends gathered for a day of recollection each year on the anniversary of his death. Saint John Paul II beatified him in 1990 and his tomb is in the Cathedral of Turin, the Church that houses the Shroud. Do you know your greatest strength? That is where you are most vulnerable. Has your greatest "strength" become your most insidious weakness? "Doubting" Thomas shows us the way to escape the quicksand of being duped by our own strengths. After hiding behind his own "strength" -- his commitment to Jesus' earthly ministry of signs and wonders -- Thomas had the humility to accept Jesus' offer of forgiveness and love when Jesus appeared before him. When confronted by the risen Christ, Thomas confessed "My Lord and my God" without touching that resurrected, glorified body. Thomas responded in faith to Jesus' offer of love and forgiveness, to Jesus' demand that he "not doubt but believe" in the resurrected Christ. Thomas allowed himself to be "weak" enough to accept the fact that his "strength" had become his potential for self-destruction. Christ's gift to Thomas -- to all who believe -- empowers us with the genuine strength of redeeming love brought through absolute grace. Instead of "show-me" signs, God offers us the unmerited gift that we can never earn nor never learn in rational, logical terms: the love of Christ. Some things are worth whatever they cost. Some things are worth every sacrifice and price we have to pay for them. For example the respect we receive from others. The freedom of knowing that God's sees you and respects you; what would it like to be in the presence of God without any shame? Imagine living so that you never have to apologize to anyone for anything you thought, or said, or did? What value would you put on living with yourself like that? Let's not fool ourselves. Greatness of character comes at a price. A great life is expensive and costly. Oh, not in terms of money, with rather in terms of paying the price of giving up being lazy, of giving up our comfortable ease, of giving up self-centeredness and self-c­oncern. Being a great human being demands a lot from us. It requires discipline and self-sacrifice; it requires self-denial, hard work, and care in our relationships with others. Conversely, selfish living in smallness of heart can be terribly expensive... it can cost us some of the things that we hold most dear in life.